You’ve been travelling to the States from the U.K. for a number of years. Have you noticed much of a change in the place of religion in the two countries over that time? Notoriously, the United States is the most religious of the Western advanced nations. It’s a bit mysterious why that is. In Britain, Christianity is dying. Islam, unfortunately, isn’t. In Western Europe generally, Christianity is dying. Even in America, the figures show that religious adherence is being steadily reduced, and the people who now record themselves as having no religious affiliation is something like 20 percent. Many people don’t recognize what a high figure it is, and so politicians here who feel they have to curry favor with religious lobbies should maybe take a look at those statistics and realize that not everyone in this country is religious. You say it’s a bit of a mystery why America is so much more religious than other advanced countries. Do you have any thoughts on why it might be? Tied to that question of disposition, several readers also wondered if there is a genetic predisposition toward faith? There probably is, but I don’t think that really explains why America is so different from Britain. The least implausible suggestion that I’ve heard is that Britain and Scandinavian countries, which are also very non-religious, have an established church, and that kind of makes religion boring. Whereas in America, there is constitutionally a bar against an established church, and that could be one reason why religion has become so popular – it has become big business, it has become free enterprise, rival churches vie with each other for congregations and especially tax free ties. Some readers see you as very evangelical in your atheism. Do you feel it a duty, just as some Christians might to share the word of God, to spread an atheist point of view? Duty is a funny word. But when you say evangelical, I like to think that I don’t shout or shriek, but employ a quiet, sober voice of reason. And reason is on our side. You’ve talked about feeling uncomfortable with the impact of religion on children. In fact, one reader asked whether you would prefer to see no under-18s at church. What’s your take? I certainly wouldn’t wish to prohibit parents influencing their children. However, for the rest of the world, to label a child a Catholic child simply because its parents are Catholic, seems to me to be a form of child abuse. The child is too young to know. You can see the absurdity of talking about a Catholic child of four when you think what it would be like if we talked about an existentialist child of four, or a logical positivist of four. In other words, we wouldn’t accept the labeling of a child based the parents’ belief, so why do we accept it when it’s religion? Why does religion get a free pass when it comes to labeling children in this way? Perry, who nearly generated a dwelling off of becoming a beautiful girliegirl (despite the fact that she a lady and favored it manages in this article to actually search like nuts, unpleasant, boygirl Rikki the sadistic prison guard (is there every other kind?). was instructed to have a leave of absence because of the police commissioner within the Metropolis of Boston for that fantastic within the department, Cohen says within a sworn deposition Monday. We had to restructure the roster, Thompson reported. "We also necessary to rent riders which can experience in management and help roles. We have two a lot more riders who may have not signed nonetheless however , you can hope that just one is an NRC level dash finisher that's youthful plus the other is an Italian, a great stage racer and leadout person. The ink's not dry nonetheless." Michael Kearney says: "I am of course delighted to get up the position plus honoured to be concerned with all the crew. Now I see why the US is the most religious of western countries. I have a feeling we are also the least intelligent. Based on these comments seems so.... I'm just sayin. Sad. 😦 I love my country. All faiths (religious, political, social) do harm, because their figments defy intellectual self-consciousness. Mankind needs Demo-Cracy (the people to rule) with initiatives to and referenda from the parliament. There is no need for an almighty head of state (president), a cabinet of ministers should suffise. Take a look at the swiss direct democracy. I'm not an Atheist, but I guess everyone has their reason and I make no bones about that. Some people spend the better part of thier lives trying to define who, what, why, and, how. 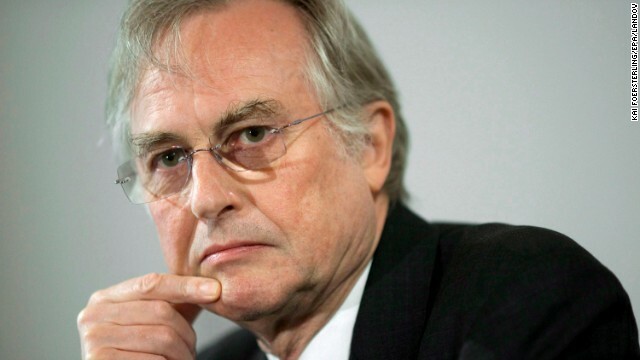 I won't pretend to know Mr. Dawkins, or anything about him, so I could never judge him. I do read the Bible and I gather inspiration, hope, faith, and value from it; I am trying to live my life in a fairly decent manner, and hope one day to be righteous in my life. I guess what I am trying to say is that we base so much intellect on how and what people believe or don't believe, that we tend to miss the point; especially when we see the direction in which our country is headed. Whether you be Atheist or Christian, shouldn't doing the right thing be the first thing on our minds, and the first lessons we pass on to our children? Panic attacks are produced more serious by an more than-production of adrenaline. Excessive adrenaline causes typical nervousness to turn to worry signs and symptoms. If you believe a panic attack coming on, attempt burning off that extra adrenaline by carrying out something physical like wandering, jogging, or perhaps strolling up and down your staircase. Allergy patients might benefit by putting on eyeglasses in the open air. Eyeglasses not just block sunshine from the eye, they also obstruct airborne dirt and dust, dander and pollen, from going into the eye area. Utilizing them will help you protect against scratchy and watery view, that happen to be a frequent issue for many allergy affected individuals. Keep a match together with you at all times and use them when allergy symptoms commence to strike. To keep a younger visual appeal, make sure you consume your greatest! Healthy foods are loaded with nutrients like herbal antioxidants that can protect against the weather of aging and keep you searching excellent. Many fruits, normal water, and darkish leafy plants are common wonderful foods for anybody trying to minimize the outcomes of aging.